Look closely - I took this board off of Magnolia Rouge. 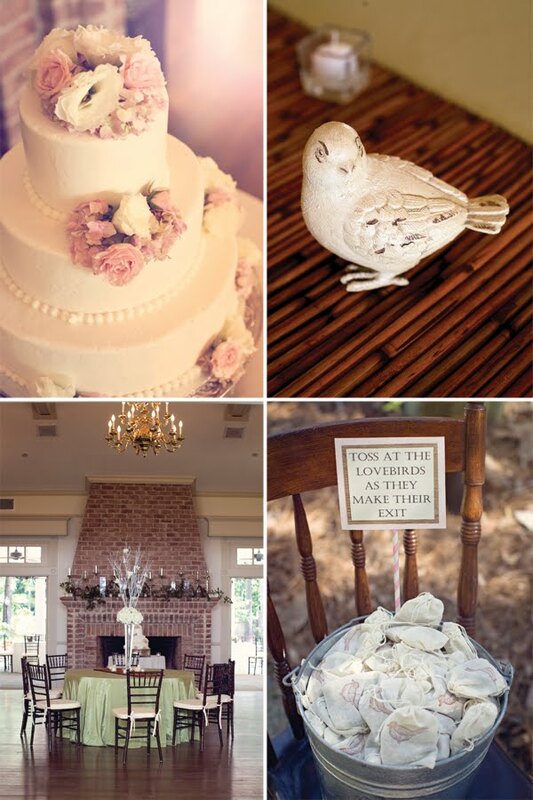 I love the one on the bottom right - pail full of little linen bags of goodies to toss as the bride and groom walk out. Love it!